Lokrang Festival of Madhya Pradesh is five day long festival of Lokrang in Bhopal begins every year on 26th January (the republic day). 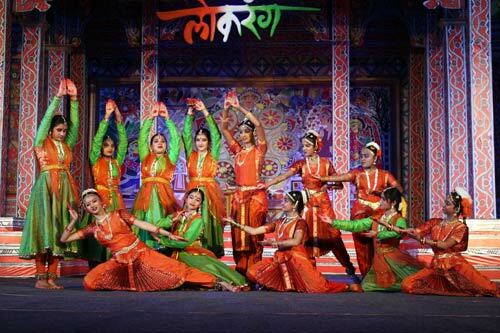 It is a cultural exposition organised by Madhya Pradesh Adivasi Lok Kala Academy. 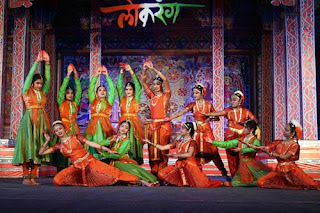 The main features of the Lokrang are folk and tibal dances, classical dances, performing art form, exhibition and presentation of art and craft and cultural presentations from abroad also are a big draw. Since each state in India has a background of its own, there are numerous heritage cultures in this country. Lokrang Samaroh, Bhopal, tries to speculate each of these. Every year it is held with a definite motive. Sometimes it concentrates on West Indian cultures and portrays Goa, Gujarat, Rajasthan's heritage while at others it concentrates on the North Indian cultures and focuses on Jammu Kashmir and Himachal heritage. One gets to see the rich pageantry of life at Lokrang Samaroh in Bhopal. Tribal folk dances are performed, tribal arts are on display. This festival's actual motive is to erase the geo-political demarcations and make India a unified whole.